Our Lynx experts are here to give you advice, and offer free outdoor kitchen design services. From inspiration and planning, to placing your order, we are here to help. Give us a call at 1-877-743-2269 to start designing your dream Lynx outdoor kitchen. 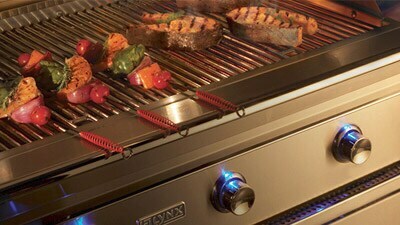 Lynx gas grills have been around for more than 35 years! These stainless steel outdoor gas grills are built to perfection with a large amount of great grill features. Building your dream outdoor kitchen island? Check out our Lynx built-in gas grills, and Lynx outdoor kitchen equipment.